Ex Cathedra’s vocal tutors are integral to each part of the Education & Participation Programme’s work, from the creation to the planning and implementation. Led by Director of Education Rebecca Ledgard, the team, all members of Ex Cathedra, comprises teachers, professional singers, conductors and experienced community music workshop leaders. The team also develops its own inspiring and dynamic repertoire, much of which is available to purchase. 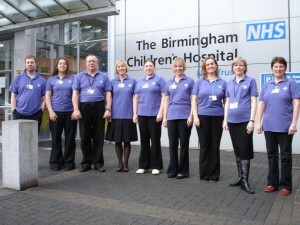 Rebecca Ledgard started her working life as a primary school teacher and then vocal teacher for Birmingham Music Service. She is Director of Education for Ex Cathedra’s award-winning education & participation programme where she has been creating and leading projects for schools, hospitals and community settings since 2000. Rebecca also conducts Ex Cathedra’s Junior Academy, Ex Cathedra Children’s Choir, Warwickshire County Girls Choir, and Singing Spirits based at Stratford Upon Avon Methodist Church. 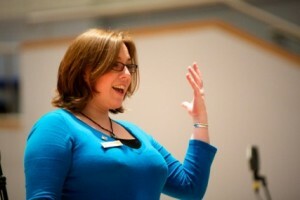 Rebecca leads the team of 25 vocal tutors and accompanists in Ex Cathedra’s education and participation programme which each year brings the benefits of singing to thousands of people of all ages, trains singers and singing leaders, and includes the award-winning Singing Playgrounds and Singing Medicine which have taken her to New Zealand, Thailand, and Belgium. Rebecca has been bestowed with Honorary Membership of Birmingham Conservatoire for services to the music profession, and awarded outstanding contribution to the field of arts and health by the Royal Society for Public Health. 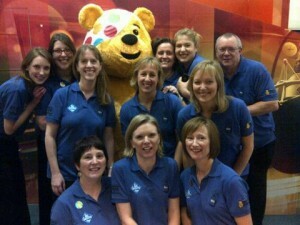 In 2014 Rebecca was one of seven women heading up Children in Need funded projects alongside seven celebrities to represent the Bearfaced campaign. Ula is a choral animateur, singer, teacher trainer, conductor and workshop leader whose work has taken her as far afield as Poland, Ukraine, Thailand, China and New Zealand. A former “Outstanding” (Ofsted 2004) primary school teacher, Ula is now Vocal Projects Leader for Sandwell Music and Arts Service where she works with schools and teachers to promote classroom and choral singing. As a co-founder of music education organisation Vocal.Point, Ula is also a lead vocal strategy consultant for Dudley Performing Arts. As Head of Events for the National Choral Organisation, Sing for Pleasure, Ula organises conducting and singing courses across the UK and abroad. She is also a regular conducting tutor for the organisation and Course Director for their annual Summer School. A trained choral conductor, Ula currently conducts SO Vocal (a 200-strong community choir run by the City of Birmingham Symphony Orchestra) and the Birmingham City Council Choir (as featured in the 2013 BBC2 programme ‘The Choir’). She is the founder and Musical Director of Echo Doliny (a national Polish folk choir) and the National Teachers’ Choir. As well as guest conducting at national and international events, Ula is regularly invited to lead singing, training, and corporate workshops for organisations including ABCD, Glyndebourne, NAME, NYCOS, Music Mark, Sing Up and numerous music services across the UK. Suzzie is an established performer, appearing as a soloist in some of the UK’s finest concert halls from London’s Albert Hall and Cadogan Hall to Birmingham’s Town Hall and Symphony Hall. She has been featured on BBC Radio 3 & 4 and Classic FM Dubai and recorded and performed with professional ensembles: the Orchestra of St Pauls, Ex Cathedra, Chamber Choir Ireland, The Orchestra of the Swan and The Eric Whitacre Singers. 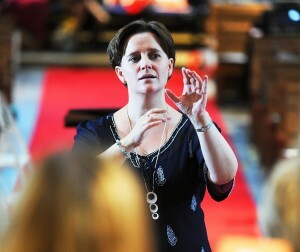 Suzzie is in demand as a voice coach, conductor and adjudicator. She is a lead vocal tutor for Ex Cathedra and has helped develop and deliver their award winning education projects including Singing Medicine and Singing Playgrounds. Her work as a choral specialist has taken her all over Europe, Asia, the UAE and the USA, recently returning from Dubai where she led masterclasses for the Choir of the Year Middle East. 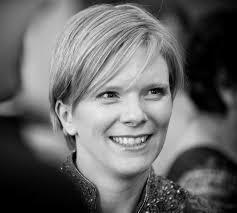 She teaches singing at Edgbaston High School and Worcester Cathedral and in addition to her work with Ex Cathedra Academies, she conducts National Children’s Choir of Great Britain, Nota Bella and the Orchestra of the Swan Chamber Choir. She also co-directs her own female a cappella ensemble Papagena. Suzzie’s high-energy vocal workshops have gained her national acclaim leading to collaborations with: Sing for Pleasure, Music of Life Foundation, Chipping Campden and Lichfield Music Festivals and the Royal Welsh College of Music and Drama. Through her work with her own music education company Vocal.Point, she writes vocal strategies for music services and schools and has a number of her own compositions published. Rob has been an accompanist with Ex Cathedra Educaion since the late 1990s, and as been involved in a diverse range of projects: choirs in Lichfield Cathedral singing Britten’s Noye’s Fludde; with nursery children enjoying a Polish singing game on a chilly autumn playground; in a huge circle of laughing, cheering children and teachers in Singapore as their headmaster danced; playing for London children as the sang Stand By Me to Revd Desmond Tuto; with two vocal tutors singing to a young girl in a coma in Birmingham Children’s Hospital; playing for over 800 children in a school in Bangkok. 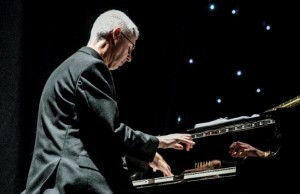 Beyond Ex Cathedra, Rob plays for choirs, opera, solo singers and instrumentalists in repertoire from Bach and Telemann to Gershwin and Sinatra.